University of Houston Libraries is pleased to announce the installation of a new projector for the Elizabeth D. Rockwell Pavilion. Working with partners at MCA Communications, UH Libraries now offers a Panasonic large-venue projector, boasting 12,600 lumens with a laser phosphor lamp. It is twice as powerful as the space’s previous projector, with excellent compensation for ambient light. In addition to top-quality picture clarity for presentations, the Elizabeth D. Rockwell Pavilion has received a full technical upgrade, including new wireless microphones, new HDMI cables, a new podium, and a new control panel. 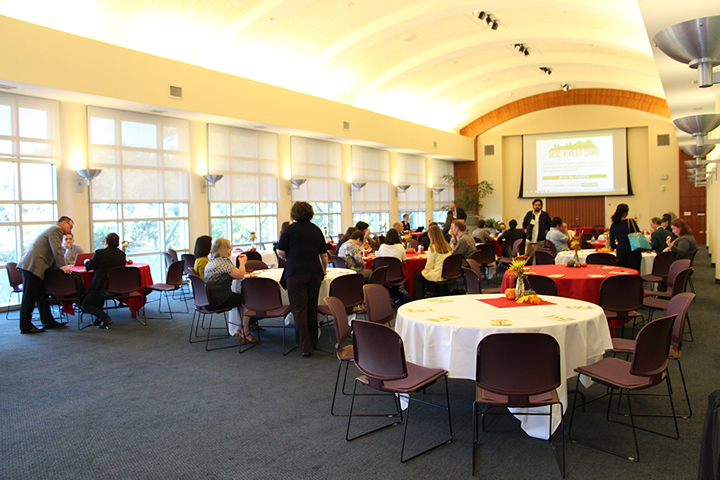 UH Libraries offers the Elizabeth D. Rockwell Pavilion to groups or units that are part of the University or formally affiliated with the University for meetings and events. 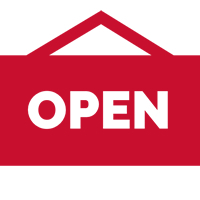 The University of Houston MD Anderson Library will be open extended hours starting Monday, November 26 through Thursday, December 6. Your Cougar Card is required for access after 9pm. 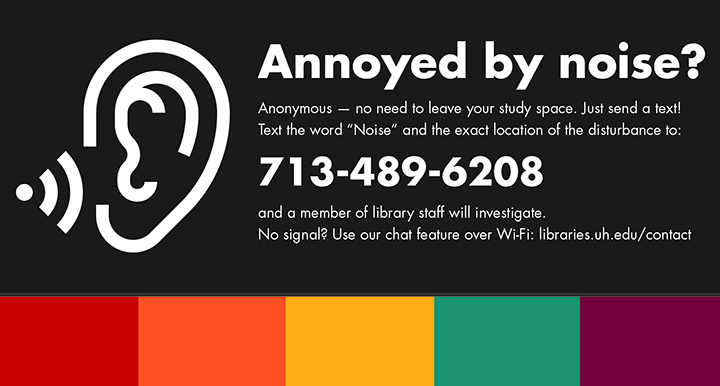 UH IDs are required for access to the UH MD Anderson Library after 9pm. MD Anderson Library will be open extended hours from April 23 through May 9. The University of Houston MD Anderson Library will be open extended hours starting Monday, April 23 through Wednesday, May 9. 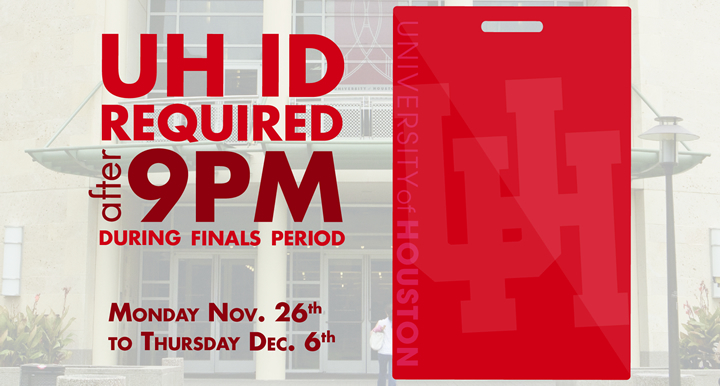 A UH ID will be required for access after 9pm during finals period.